Until now I tried to ignore the worldwide Pokémon Go hype. But as the mobile game consists more or less of a map and some geo-related content, we should mention it here on Digital-Geography.com. Produced by Niantic, Pokémon Go is an augmented reality game where the player can gather or breed Pokémon and fight against other players on real world map. Some functionalities are also just working when you are walking, so that it’s important to stay outside, which could have a positive impact on health of video gamers 🙂 Here you can download the Pokémon Go app for iOS or Android. A main goal of the game is to find strong Pokémon and other relevant locations such as arenas, Pokémon eggs and Pokéballs. To be prepared for your Pokémon-journey you should check out those maps to don’t proceed uncontrolled, rather be effective when playing outside. 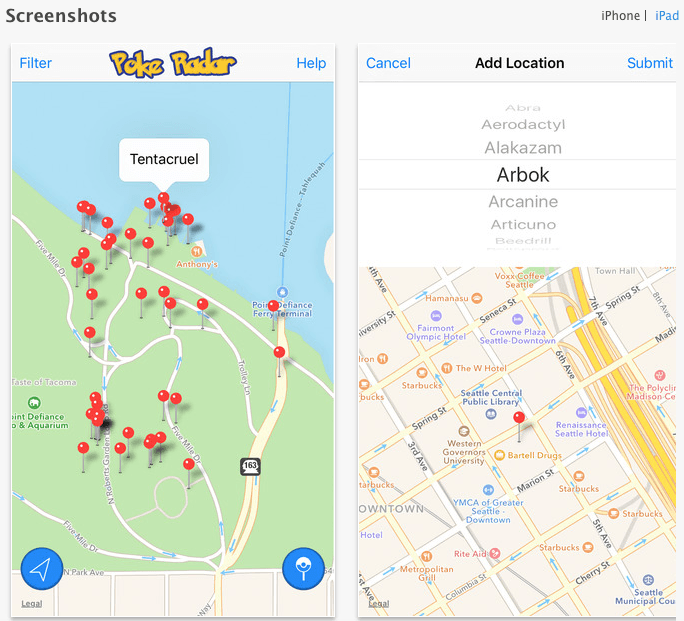 POKÉVISION is a interactive map tracker for Pokémon. Just click on a spot on the map and get a view of all Pokémon in the near with a timecounter how long they will be available at their spot. Pokémapper shows also all Pokémon spots. For easy usage you can create your own map for your region to be prepared if some important items will spawn in your surrounding. Pokèradar should be a really helpful app solution for finding Pokémon when you’re outside. Just open the app, filter for your favorite Pokémon and get a map marker for the place to catch it. 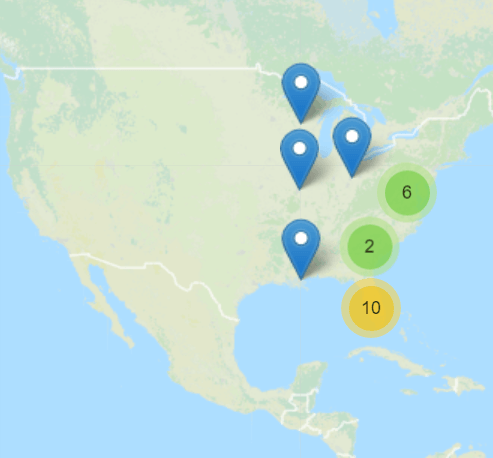 If you know additional ways to find Pokèmon via map solutions, please give me a comment.